Facebook's emoji offerings have become a little bit more diverse, but the changes may leave some families wanting. The social media giant released a slate of diverse family emoji recently with skin tones that range from light to dark in recent months. But the update doesn't offer an option for families with mixed backgrounds -- all the members of the emoji families have the same skin tone. The 125 new family emoji options mark the first time black families have been represented as emoji on Facebook, according to a blog post from emoji reference site Emojipedia on Thursday. Facebook told CNN Tech these emoji have been live on its desktop site since April, and that they've gained attention recently because of the post on Emojipedia. 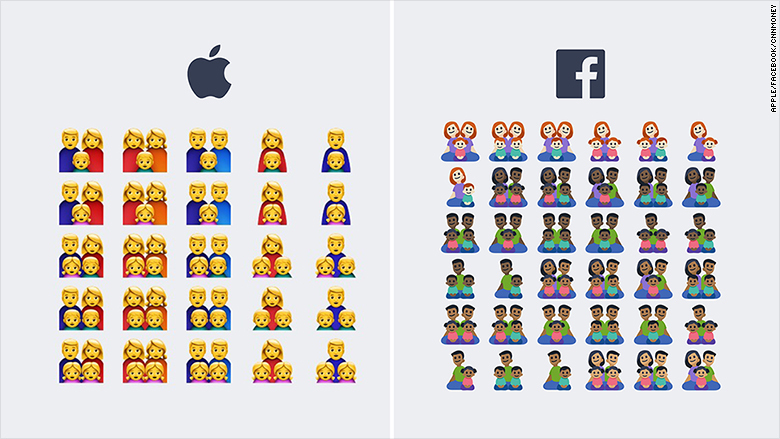 Previously, Facebook (FB) only offered yellow family emoji, which is a default standard also used by Apple (AAPL). The updated family emoji are only available on desktop for now. It's unclear when they will roll out on mobile. Facebook declined to comment further. Last month, Apple announced a new collection of emoji set for release later this year. The Apple offering includes icons such as a woman wearing a headscarf and a breastfeeding mom. The Unicode Consortium, a nonprofit that sets the global standard for emoji and other software, has significantly increased the number of official emoji in recent years. 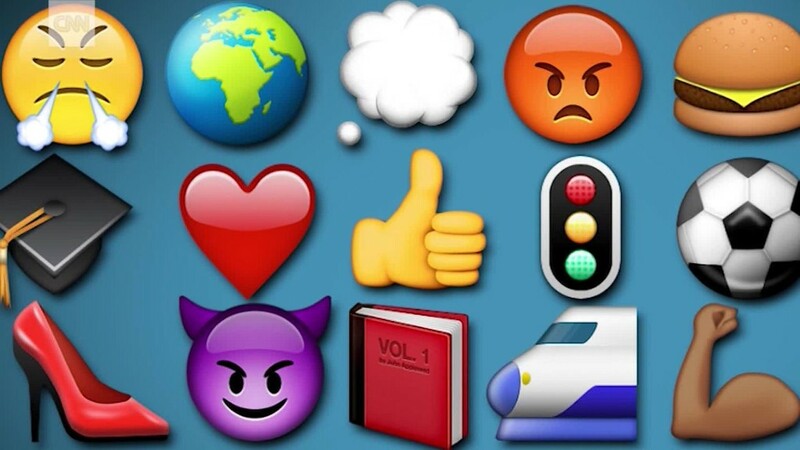 The group has approved 2,666 new emoji as of June, compared to 722 of them two years ago. It has also stepped up efforts to include diverse skin tones, flags and careers.